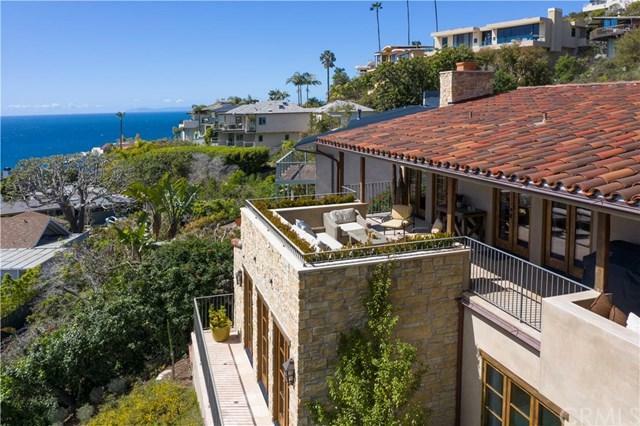 715 Mystic Way, Laguna Beach, CA 92651 (#300836956) :: Ascent Real Estate, Inc. Among the many beautiful homes that dot the hillsides in Laguna Beach, there are a handful of architectural designers whose body of work stands above. 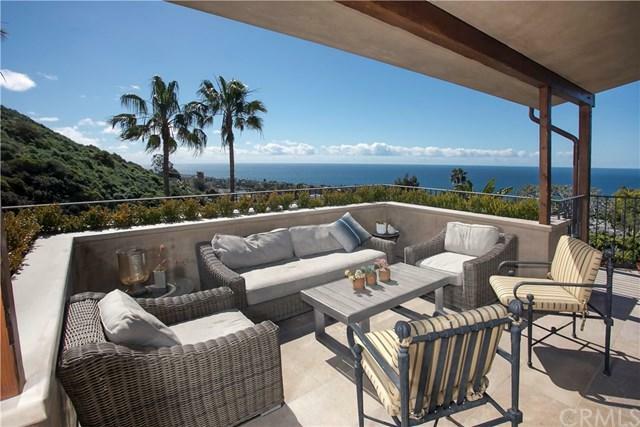 715 Mystic Way is one of the last magnificent ocean view homes completed by John O'Neill. Designed for personal friends, the home displays attention to detail, unexpected ocean view perspectives, and instantly comfortable. The location strikes the perfect balance to provide gorgeous views without being too far from beaches and town. Inspired by vintage Ital Among the many beautiful homes that dot the hillsides in Laguna Beach, there are a handful of architectural designers whose body of work stands above. 715 Mystic Way is one of the last magnificent ocean view homes completed by John O'Neill. Designed for personal friends, the home displays attention to detail, unexpected ocean view perspectives, and instantly comfortable. The location strikes the perfect balance to provide gorgeous views without being too far from beaches and town. Inspired by vintage Italian farmhouse designs culled from O'Neill's extensive travels, the home highlights authentic design details while perfectly framing the view in a light and open design. 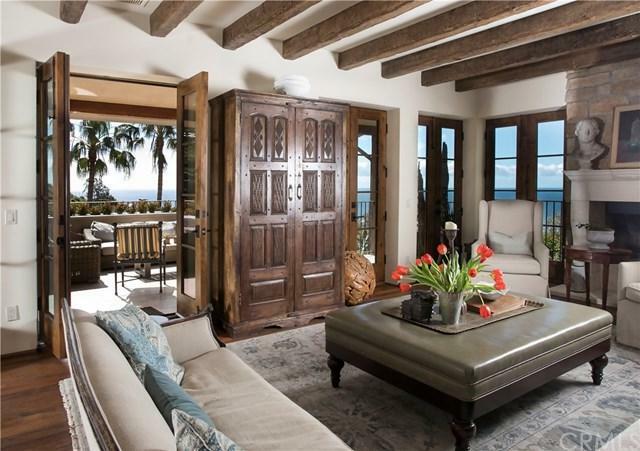 The open main level is anchored by a bank of french doors opening to a ocean view terrace and the coastal views beyond. The kitchen, open to the main level great room, is a masterpiece - imminently functional and filled with enchanting details...this is room for gathering, cooking, and conversation. A main floor bedroom, powder and office round out the upper level. Below lies an exceptional master suite, two secondary bedrooms with en-suite baths, and a media area that walks out to the yard. Taken in as a whole, the home is magnificent. But the beauty is in the detailed finishes and thoughtful design. Broad ocean vistas, enchanting architecture, and an enduring architectural statement by a standout designer - 715 Mystic Way stands alone as a rare opportunity to own the best of this unique seaside community.